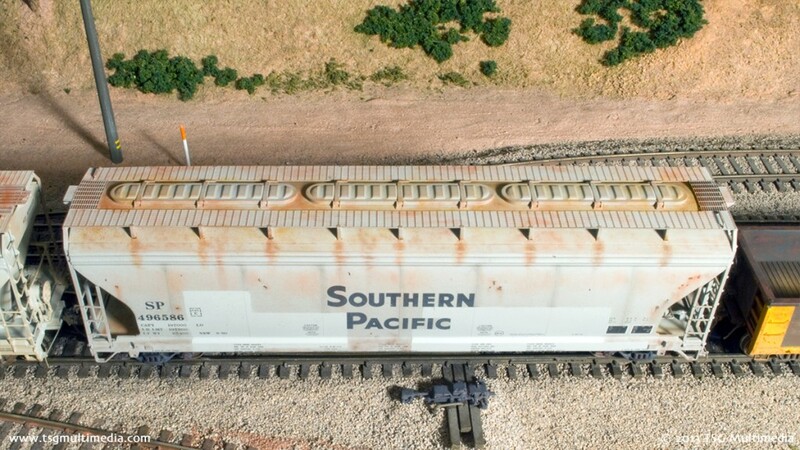 Grain hoppers are a common sight on modern railroads. 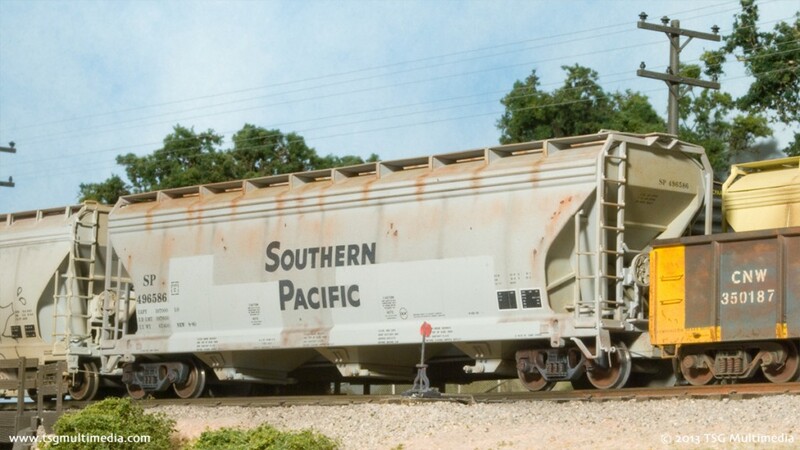 This Atlas car is a nice example that can be further improved with some weathering and detailing. SP 496586 started out as a stock Atlas car. Modifications included the addition of uncoupling levers, brake piping and hoses, and Kadee No. 58 couplers, plus some tweaking to make the coupler height dead on.